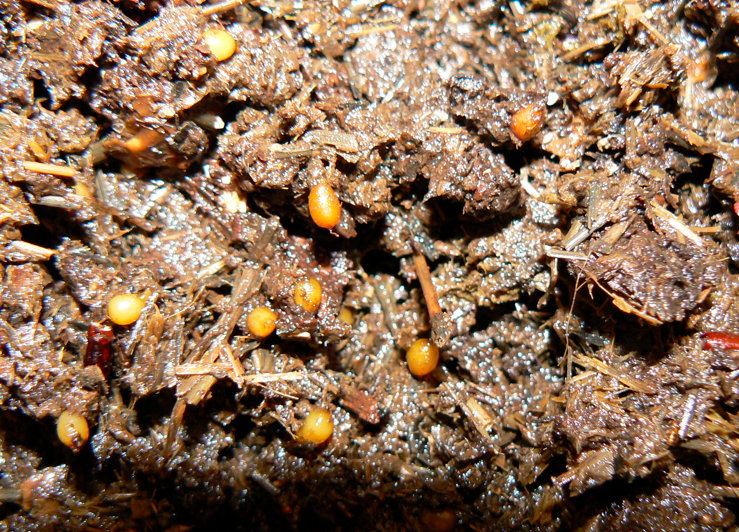 Last week, as an experiment I stocked a starter bin with bedding and 10 red worm cocoons or egg sacs. I would love to be able to see the little rascals hatch, but as you will see in the next post, counting these little critters can be pretty difficult. Stay tuned.